This cozy 1 bedroom holiday semi-detached house in Torrox Costa is the base for a wonderful, relaxing holiday on the Costa del Sol. This cozy one bedroom semi-detached house, located in Torrox Costa, makes the base for a wonderful, relaxing vacation. 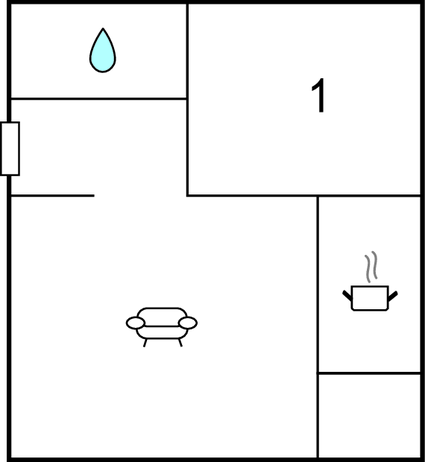 The property offers one bedroom and a living room with sofa bed to accommodate two adults and two children. 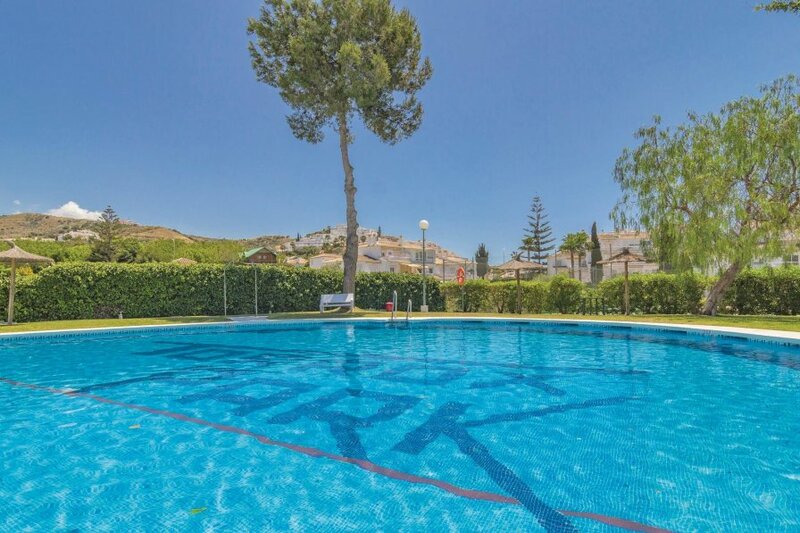 The property gives access to 2000 m² of community area and a 320 m² large community pool. The sandy beach is located at just 1.2 km, and shopping and restaurants are to be found at just 80 m. Torrox is in a great location close to Nerja, and its famous caves, the beautiful small town Frigilliana, and the cozy town by the coast, Torre del Mar. A great place to enjoy your vacation. This modern villa is made from brick or stone and was built in 1998. The agent has rated it as a three star property so it is a well-kept villa, equipped with standard furniture. It is also good value for money. This villa has use of a shared pool and is located in Torrox Park, only 1km from Torrox-Costa. The nearest airport is 50km away. It is set in a convenient location, 1.2km away from a sandy beach. There's also a restaurant only 80 metres away. The villa is well equipped: it has a refrigerator, microwave and washing machine. It also has some garden furniture outside.